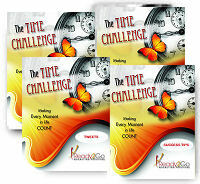 Audio Training Program: The Time Challenge - Making Every Moment in Life Count! from Ready2Go Marketing Solutions, Inc.
Making Every Moment in Life Count! Let’s face it…we all have a finite amount of time to spend on this planet. And in that short time, we have only so much energy for all of our passions, projects and noble pursuits. Meanwhile…there are a million errands to run, newsfeeds to scroll through and so many urgent obligations to fulfill…I mean…every day is SO FULL, right? We all have busy, hectic lives. We all get distracted. We all waste time. Between over-commitments, well-meaning visitors, smart phones (distraction at our fingertips), and all the stimuli that the internet has to offer, it’s a miracle any of us get anything done. Wouldn’t it be great to help your clients free up some of their time from the schedule, expectations and demand, and start focusing on living a life of meaning and fulfillment? You can by giving your prospects and clients a shift of perspective, the right tools, and a little guidance. And now those tools and tactics are readily available for them in a clear, concise, and easy-to-follow format. Managing Your Moments is a 6-part Audio Training Series designed to help your clients live a richer, more fulfilling life, loaded with love, security, and moments that matter. 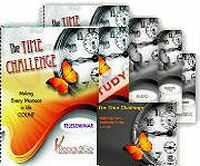 These carefully crafted audio segments are only 4-6 minutes long, so they can listen to them at their convenience and easily integrate each bite-sized lesson into their daily life. They will be amazed at how easy it is to redirect their days and add more meaning to their lives, fast. Audio Training programs are a powerful tool for keeping in touch with your clients and prospects, and delivering great value. 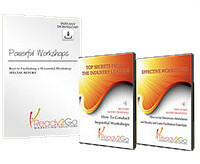 Order the Managing Moments audio training program today.